How can Search Marketing Simplify Purchasing Decisions? You own an online business and you've heard it thousands of time before: If you're not on page 1 on the Google search engine results pages then your business is not going to do well. Far from us to say this isn't true as being ranked well is of course extremely important to drive traffic to a website. However this is only one part of the equation for your business since good rankings do not guarantee revenue or conversions. One thing that is very often forgotten by online businesses is how customers search for information and what their purchasing decision process is. Depending on the person, the value of the item and the emotional involvement in the purchase, it can take from a few seconds to a few weeks or even months for someone to decide to buy a product. With increasing amounts of information available online, competition and other factors such as friends and the economy affecting a potential customer, it is critical for online businesses to ensure that they use the right messages and marketing channels to cover each step of the decision process. In this initial phase, your potential target audience may not even be aware of your company or products, especially if you're a new business. So it is very important that you start communicating with them around your brand and what you represent in order to increase brand recognition and awareness. Now that your audience is getting to know you it is important that you stand out from the crowd and your competition by communicating on your USPs (unique selling points). What makes your product unique, is it cheaper, better quality, easier to use? By answering those questions you should be able to focus your marketing activities for users in consideration phase, and think how you could turn them into customers. Once again there are a range of tools you can use to help user sin the consideration phase, but your main aim here is to display messaging explaining why they should choose you rather than a competitor. By this point potential customers have done their research, they know your brand and what products are available on the market. They may even have asked their friends or checked review sites for advice. What is needed now is an incentive for them to buy your products. There are obviously a lot of other channels you can use to reach customers at the different stages of a purchase decision like email marketing, telemarketing, affiliates…but the activities listed above should prove to be a very good starting point to ensure you improve engagement and conversions on your website. And remember that specialist digital agencies like Mahon Digital can always help you with your search or online marketing requirements. 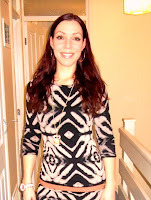 About the author: Saija Mahon is the founder of Mahon Digital, a digital marketing agency focusing on search marketing including search engine optimisation, PPC and social media. 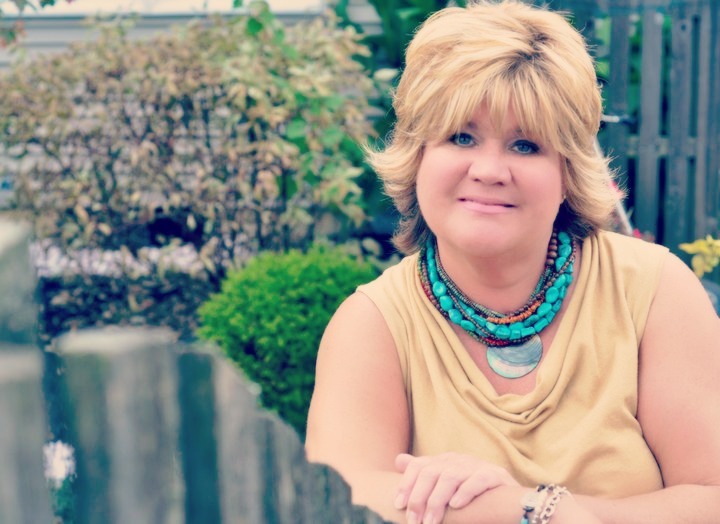 Heather Stouffer, CEO and creator of Mom Made Foods, started her journey from Kitchen to the Grocery, in the retail food business back in 2006. Her light bulb moment happened when she was shopping for her family and couldn't find prepared foods that she felt good enough about to serve her own kids! I created Mom Made Foods because I believe in convenient meals that do not sacrifice quality or nutrition, and that kids should be able to eat delicious foods without added junk. Inspired by kids and the familiar recipes they love, we use only the freshest quality ingredients, such as organic products and meats raised without antibiotics, all sourced in the USA. Mom Made Foods launched Memorial Day weekend 2006 at the Del Ray Farmer's Market in Alexandria, VA. From there they were approved for the Mid-Atlantic region of Whole Foods, and were on store shelves in January of 2007. After launching into Whole Foods, we were put on the bottom shelf of their freezer and quickly learned that placement and positioning in the stores was critical and by January 2007, we were in 40 stores throughout the Mid-Atlantic region. Today, Mom Made Foods is sold nationwide, in stores such as Target, Super Target, Whole Foods, and more, with meals, munchies and bites made the way kids like! Marketing is a lot like fishing. When you “go fishing” (ie, when you are investing your time, money, and energy into your marketing), it’s better to pick one type of fish to go after. If you cast a wide net, sure you’ll catch a few good fish, but you’re also going to bring in some junk, like a boot, glass bottles, an old tire, etc. It’s more efficient if you use the right bait, and you do this by figuring out what type of fish you’re after, placing yourself in the most likely spot to find them, then attracting them by giving them what they want. When you decide on a target market, your marketing will suddenly become easy, and your time, energy, and dollars will be concentrated for best results. You can fish for anything in the sea, but you’ll get a better catch when you know what you’re going after. The Swedish car manufacturer, Volvo is a great example. Their ideal client is reportedly a 34-year old married mother of two. So how do they cater their message to this woman? They emphasize safety, and make sure to buy advertising space in family-oriented magazines and magazines for mothers. So, how do you decide on YOUR target market? Answer these questions that can point you in the right direction. Who naturally gravitates to you and your services? Let’s say a creativity coach named Sarah starts her business, and she really wants to work with young visual artists. She circuits the local art openings, and approaches many people in her ideal market, but most of these fledgling artists don’t have enough money to afford her. If she opened her eyes while she was making her rounds, she might notice that the people who ARE most interested in her services may be corporate types, looking to nurture the long-lost artist within. Not exactly whom Sarah had in mind, but a clear market that is gravitating towards her. Who actively buys your services? A great approach to answering this question is to do a little research. Pick a few of your competitors who are making a good living doing what you do. Try to find out whom they are marketing to, and why they might be targeting this specific market. How much are they charging, compared to what you are charging? This type of research can help you uncover quite a bit and direct your future marketing. Let’s say Jamie a personal stylist with a struggling general business decides to scope out Betsy, her competitor’s website. She notices that Betsy targets new moms wanting to get back into the job market, or women ready to transition out of frumpy mommy gear and into Gwyneth Paltrow-like mommy sophistication. Betsy’s rates are packaged very differently from Jamie’s—she offers personal shopping days and half-days in addition to consultations. But it’s a known fact that Betsy’s business is thriving. 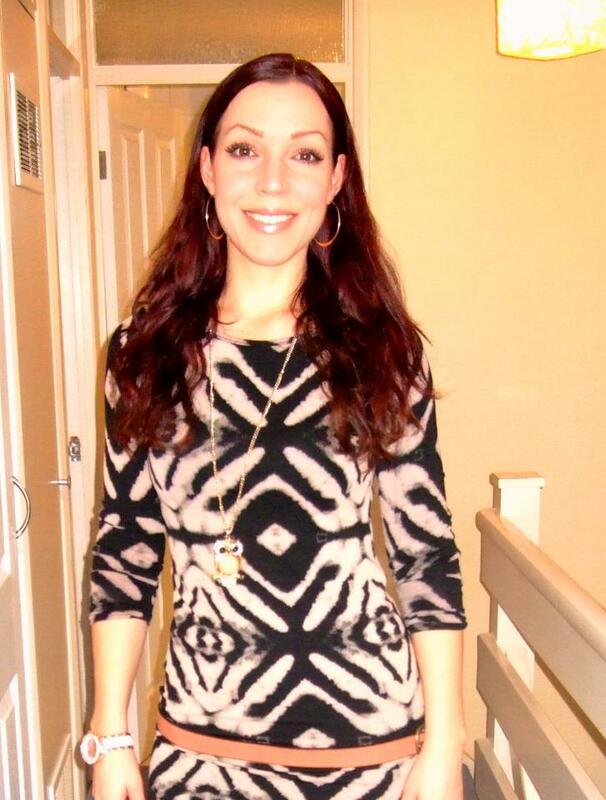 Jamie can take a few key lessons away from Betsy: she can narrow down a niche of her own, perhaps women who have lost a significant amount of weight who are looking to treat themselves to a makeover, or survivors of cancer and life-threatening diseases looking to restore their confidence and personal well being. Who is ONE person that embodies your target market? No matter what media you work in, once you pinpoint your target market, you’ll be able to shape your business model and your message with much more clarity. When you’ve gotten a clear idea of who your target market is, try to picture one singular person who embodies this market. What does this person do for a living? What does she like to do for fun? What are her dreams, aspirations? Knowing your “who” will help your business connect with your target market. The ideas and direction of your marketing will flow much easier when you’ve got ONE person on your mind versus a massive, general audience. Just think about how your writing style changes when you write an email to your best friend versus writing a greeting card to the same best friend and her husband. Quite different, wouldn’t you agree? QUESTION: Have you niched *your* target market with success? How did it help your business? Please share below! If you're already in business for yourself, or you've ever thought about starting your own business, you probably already know how important it is to get people to listen to you and traffic to your website. Most small business owners put up a website, get no visitors and then wonder why the only people visiting their site is their mom and themselves. Here are 3 ways to become a recognized expert in your field. Pick something that your ideal prospects and clients need from you. Don't think you have to write everything you know about that particular subject. Just drill deeply into one part of it. Don't become just some "armchair expert." Drill deep with your expertise. And here's the really cool part. You want to become a known expert in your particular niche - on the internet or anywhere else. So while you drill deep, not only do you discover other ways you can explain and use that information, you also create other ways you can disseminate it. Via articles, videos, blog posts, guest blog posts, ebooks, virtual events, etc. The deeper you go into a niche the more applications and vehicles you will discover. One discovery leads to, and builds upon, another. This is how you become know as not just an expert in your niche, but as the expert in your niche. It might feel like an uphill battle right now, but it's not as difficult to create original content and get it out there online. Wherever you are in your niche, you may not be able to see you as the expert from where you are right now. That's fine. No one ever began feeling like the expert in their niche. It's like the story about driving in your car on a dark country road, and you can only see as far as your headlights take you. Now one thing you can do is stop, because you can't see any further, and you won't get anywhere. But that would be silly. What you do instead is just drive the length of your headlights. As you do that, it takes you a little further and little further and a little further and who knows where you can end up. So begin where you are, go deeper into your topic and niche, and you'll discover other super specific applications of your expertise and also create some new ones of your own. How about taking your content to your local area? I know we're mostly talking about being seen as an expert online, but one of the fastest and best ways to build your tribe is by doing IRL, or in real life. Meetup.com is a great way to begin a tribe locally. Start a group around your area of expertise and schedule your first event. Then, find a place to hold your first meeting. There are tons of places in your local area that would love to attract people. Find a nice grocery store and see if they have a nice community room. Restaurants are a great place to bring your tribe. We found a local art gallery with a ton of room we used for free in exchange for our members eating and ordering from their café. Test your content on your tribe. Offer them your products and services that can help them further. When you build your tribe, you build your platform and you build your business. If you love what you do, but hate trying to "make the sale" one by one, list building expert Maritza Parra will show you 7 simple, quick and easy ways to build your 6-Figure List without spending a dime... Imagine building your own list of prospects who love what you do and what you uniquely offer! Get your FREE 6-Figure List Building Template and e-course now at www.FreeListBuildingBonus.com. Barbara's Cookie Pies is a WBENC certified women owned business that manufactures and markets hand-made gourmet Cookie Pies and Butter Cookies in retail shops, in catalogues, for private label and in various e-commerce channels. Their specialty is Corporate gifting where they have the ability to personalize a company name or their logos and/ or messages on the package labels and gift ribbons. 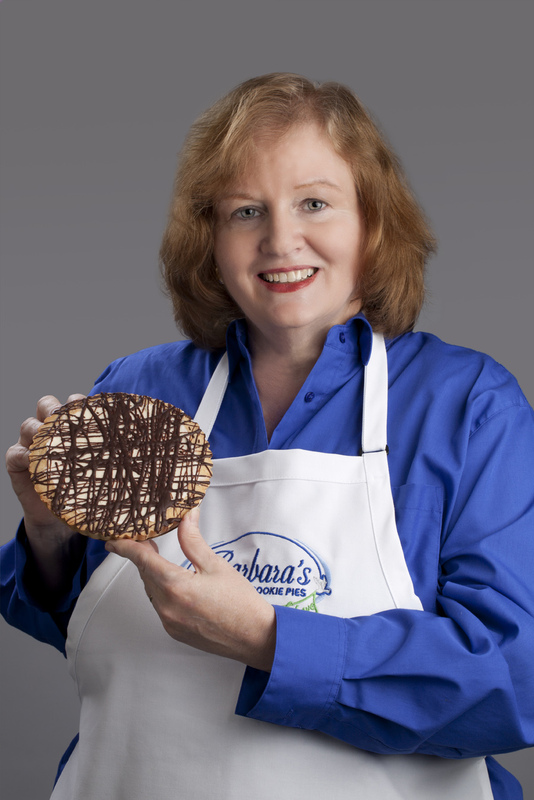 The company is owned by Barbara G. Schechter, a marketing professional and creator of the cookie pie! Their flagship product is the Original Cookie Pie which looks like a Pie but eats like a Cookie. It starts with a classic butter cookie crust (a treat in itself) which is baked from a family recipe handed down through three generations. This hand-made artisan 100% natural butter cookie crust is then fused with gourmet fillings and toppings to create a delicious cookie-within-a- cookie. Cookie Pies are offered in 15 different mouth-watering varieties such as Almond Raspberry, Rocky Road, Peanut Butter Cup, Apple Caramel, Oreo Creme, Chocolate Chip and Honey Oatmeal Raisin. Barbara also bakes and markets her authentic butter cookies, made and decorated the same way her Nana taught her 50 years ago. Each cookie using the 100% natural 3 generation butter cookie family recipe is hand pressed and hand decorated using the finest quality ingredients. Barbara's Butter Cookies are named after her family and friends who are important in Barbara's life such as the classic JoeyJoy (a thin buttery wafer sandwich with home-made raspberry preserves, dipped in real semi-sweet chocolate and garnished with sprinkles) named after her son Joe. The Bobbie Bella Cookie, is a round butter cookie garnished with semi-sweet chocolate and a juicy maraschino cherry, named after Barbara's daughter Bobbie. The Nutini, a butter cookie with chocolate and assorted nuts is named after her sister Denise whom they call Nini. The JellyJim, with jelly centers is named after her deceased brother Jim as that was his favorite cookie. All of Barbara's products are made at a commercial baking facility in New Jersey. While I love the promise of a new year, the threat of an upcoming tax season is absolutely exhausting! I think we creatives have it doubly bad; we work from the energy of bending rules and pushing boundaries. There are no bendable boundaries or rules with the IRS. Instead, it's a simple game: do it right, the first time, on time, and you win. Everything else is unacceptable. I tensed up writing that! So, my goal at tax time is to control the amount of time and energy I have to spend on this task. If I can get my taxes filed and paid quickly and accurately, that's about the biggest win I can imagine. How do I do it? I'll share with you some secrets that hopefully will make your tax season a little less stressful so you can focus on your art and not on April 15th. 1) Set a basket near the door. When tax related mail arrives, put it in the basket immediately. You don't need to open it now. It's only important to not have to search for documents when you need them later. 2) Gather mileage records. If you drive for your art, make sure the 'I's' are dotted and 'T's' are crossed. Mileage charts aren't important when you file, but you'll have to prove every mile in an audit, so use the same procedure you learned in elementary school: Who did you go see, What was your odometer when you began and finished the trip, Where was it--how many miles away, Why did you go in the first place, and finally How did you get there--if you deviated for personal reasons, you can't count those miles. Only miles to and from your primary place of business count. Keep a log in your car and practice writing in it EVERY time you travel on business. I've been told there are also mileage apps, although I've never used one. 3) Interview tax advisors now. If it's over your head, don't wait until the last minute to find a good tax person. Interview in the next week before tax people are completely swamped. Ask about how long they've been doing taxes (it should be more than five years, but preferably more than ten), what their credentials include, and some referrals. In fact, if possible, find another friend with a similar situation and ask who they use rather than checking in the phone book on online. 4) Set up a business checking account that's separate from your home account. Do you use your home account for your art? As you grow your business, you'll want to avoid this practice. Take your art seriously and keep everything separate if possible. That way you'll be able to easily review bank statements and debit card expenses to deduct from your tax bill. 5) If you're making money, consider spending some of it on a bookkeeper. I know...this is an expense that can be avoided...but if you're serious about what you do well, you should focus on that area of your life and hand over tasks that aren't your specialty to other people. Use the time you save on taxes to earn that money and more from projects. I promise you won't regret it if you spend the time you save wisely. If you follow those five tips, tax time this year (and every year) should flow smoothly. This approach helps you avoid the portion of tax time that make me groan: digging for records, piecing together mileage records, highlighting business expenses in my personal checkbook....all easily avoided with the right systems. Many people subscribe to the Protestant work ethic, which says you must work hard to prosper. But success does not require struggle and suffering. It can be effortless, meaning that you are having fun while pursuing your goals, even when you’re working incredibly hard. The key to unlocking effortless success lies in the goals that you choose to pursue. The more your goals are aligned with your purpose, the more fun you’ll have … and the more easily you’ll achieve the success you desire. We each have a unique purpose to fulfill here on Earth. Identifying, acknowledging and honoring this purpose is perhaps the most important action successful people take. Without a purpose in life, it’s easy to get sidetracked and end up accomplishing very little. But with a purpose, everything seems to fall into place. The people, resources and opportunities you need naturally gravitate toward you. The world benefits, too, because when you act in alignment with your true life purpose, all of your actions automatically serve others. For example, I frequently am invited to participate in multi-level marketing companies and have on several occasions. But when I have, it’s left me feeling drained, even though the companies and their products were superior. The reason is that hosting meetings and selling opportunities to others does not support my purpose – to inspire and empower people to live their highest vision in a context of love and joy. I’ve learned through experience that the best way for me to work with MLM companies is by speaking to and training their distributors, an activity that allows me to fulfill my purpose. Aligning with your purpose is most critical when setting professional goals. When it comes to personal goals, you have more flexibility. If you want to learn how to paint or water ski, go ahead and do so. If your goal is to get fit and lose weight, move ahead with confidence. Nurturing yourself emotionally, physically and spiritually will make you more energized, resilient and motivated to live your purpose on the professional front. However, don’t ignore the signs that your job or career is not right for you. If you dread Monday mornings and live for the weekends, it may be a sign that it’s time to follow your heart and pursue the work you long to do. There are a few ways to gauge whether your goals are aligned with your purpose. The first is to simply check in with yourself and ask whether achieving the goal supports your life purpose. If not, the goal is not something you should pursue. Conveniently, human beings are equipped with an inner guidance system that tells us when we are on or off purpose based on the amount of joy we are experiencing. When you feel like you are in “flow,” you are on purpose. When working toward your goals is a chore or success is extremely difficult, stop and evaluate whether your goal is aligned with your purpose. A final technique you can use is to probe deeper into your desire to achieve a particular goal. Ask yourself, “If I achieve this goal, what would I have then that I don’t have now?” When you have an answer, ask the question again. Continue the process until you’ve reached your root desire. Then ask whether you truly need to achieve the goal to get what you really want. For example, you may say that you want to earn $1 million. But upon further examination, you may realize that what you really crave is the joy of pursuing what you really want to do in life, which you would be able to do wholeheartedly once you had enough money to ensure financial security. Must you become a millionaire to experience joy? Of course not. Instead, consider all the ways that you can experience what you truly want to feel and be, then make those your goals. At its heart, effortless success is about fully embracing and expressing who you are. It means following your inner guidance to ensure that you are living your very unique purpose as much as you can. Use the tips shared in this article to identify the right goals to pursue in 2012 – and watch how much easier it becomes to achieve your dreams. LaTersa Blakely manages more than newborn novelty items, as owner of LaTersa Blakely Enterprises. LaTersa’s commitment to providing women with encouragement stems from an ability to persevere through her own obstacles. LaTersa began her entrepreneurial journey in 2010 as a result of motherhood, where she stayed home to provide 24/7 supervision to her children. The result: LaTersa Diaper Cakes, a unique way to showcase baby diapers — resembling wedding cakes, with cake-like multiple layers of diaper tiers. Today, LaTersa leverages almost five years of experience to provide an expert’s point-of-view when it comes to women empowerment. 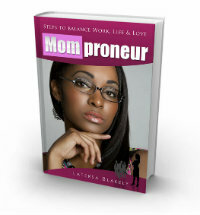 This includes authoring the award winning best seller’s book, Momproneur: Steps To Balance Work, Life, & Love which is scheduled to be released on March 15, 2013, Digg Deep, co-authoring Confessions of A Welfare Mom and From Corporate Office to Home Office . Born and raised in Holly Grove, AR, LaTersa now resides in Holly Grove, AR, where she is a wife and doting mother to two children. 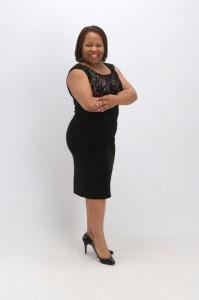 She earned her Bachelor’s Degree in Agriculture Economics from the University of Arkansas at Pine Bluff and her Master’s Degree in Agriculture Business Management from Alabama A&M University. A two-time winner of StartupNation’s Leading Moms in Business (2011 and 2012), LaTersa is the founder of Moms Wearing Multiple Hats, where she provides tips and inspiration with mom entrepreneurs who are seeking ways to balance motherhood and business. Discover the steps to becoming unbroken by visiting http://www.latersablakely.com. 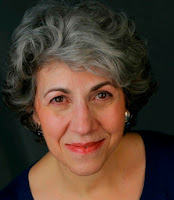 Contact LaTersa on Facebook at http://www.facebook.com/authorlatersablakely. Where Do You Start Improving Your Business? Whatever stage of business development you’re currently in, you’ll want simple ways you can improve your results. Making more sales, attracting ideal clients, up leveling your branding, hosting workshops, affording more team, growing your list and more. Where most women entrepreneurs struggle is in knowing which activities they should prioritize first and even more importantly, how to hold on to the mindset that it takes when the business you’re juggling on a daily basis is a far cry from the business of your dreams. This is where having a system and the right strategies pays off in a big way. For example, if you’re not yet consistently making enough money to cover all of your expenses, then your focus is best spent on generating your first 8-10 clients at higher fees, rather than wasting your time on launching something like a membership site. Hear this: Every time you up level your business you can plan on experiencing a period that is a mix of the old and the new. I laughingly refer to this as the “business equivalent of hormone imbalance” (LOL) because one minute you’ll be super excited and completely clear about your new direction, only to find yourself crying the next minute, wondering what you’ve gotten yourself into. What I do during this time of massive up leveling is follow 3 simple steps that keep me centered and focused and out of overwhelm. I recommend printing these tips out and pasting them on your computer or bulletin board where they’ll help you make this transformation in your business smooth and exciting! My favorite mindset tip is to ask yourself, “What would a million dollar business woman do?” This is the same question I asked myself when I was looking to make a massive shift upwards in my income. The reason it works so beautifully is because it pulls you out of old patterns and challenges you to think, feel, act and believe as the business woman you desire becoming. Cash flow is the ruling Queen of your business. No matter what stage of your business you’re in, decide how much cash you need to create to cover your expenses, to pay yourself and to give you peace of mind. The key is to be specific and determine your amount first, then focus on the how-to. This (along with other strategies I teach on this topic) will keep you in a proactive mindset regarding your income, rather than in a passive, or reactive, disempowered place. In every stage of growing your business you’ll need to let go of tasks and activities that represent the old you, in order to make way for the actions that put you on the path of success at your new level. My advice is to start your day with the 3 key actions that will bring in new clients, referrals and cash flow. Decide in advance what these are, write them down and do them first — before answering email, voice mail or hopping on to social media. Women are energetic sponges for the people they surround themselves with. Which means it’s critical for you to invest in spending time with a mentor and get in a coaching group filled with high achievers who are continuously pulling themselves — and you! — forward. You’ll be amazed and delighted how quickly you too, become one of these high achievers that others are inspired to be around! 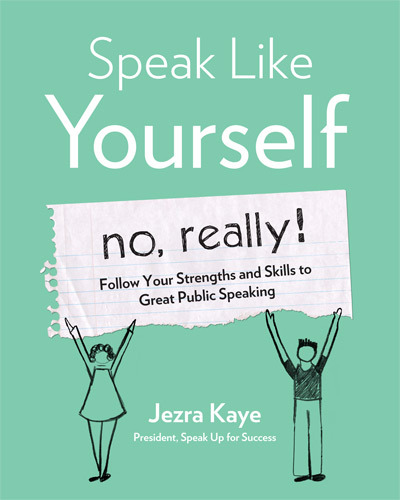 Speak Like Yourself... No, Really! 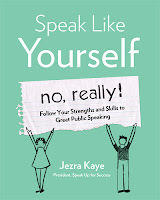 : Follow Your Strengths and Skills to Great Public Speaking is available on Amazon, from your local bookseller, or at Jezra's site, SpeakUpForSuccess.com. "The only thing any entrepreneur, salesperson or anyone in any position can control is their effort." I love this quote from Mark Cuban because it serves as a great reminder that we always have the power to move forward in the midst of challenges, disappointment and setbacks if we focus on matching up what we can control with our effort. And it applies to any area of our life. Now, there's no denying that there are some things that are completely out of our control. But if they are truly out of our control, why worry, fret or spend time and energy thinking about it, pondering it or talking about it? What better place to put your time and energy than into those areas that you can control - that you can impact? When clients begin working with me, I explain that my coaching programs are "action based". That means that our relationship is not only based on sharing information, tools and strategies to empower you to define your goals and create a success plan, but I also support you to take RADICAL action with what you are learning. I love the saying: knowledge is not power - applied knowledge is power. While we know that we SHOULD focus on what we have control over and put our efforts there, we don't always act on it. So, I thought this would be a good time for us to take a look at where we are putting our efforts, making sure that we're not giving our energy to those things out of our control. Look at your life right now - what are the two biggest areas you are most concerned about? Is it related to your job, your business, or maybe your finances? Are your top priorities around your family or your health? Whichever two you pick, get out a piece of paper (or your computer, phone or iPad!) and list out what the 2 biggest challenges are in each of the two areas. Next, take each challenge and make two lists - one outlining what is out of your control in that situation, and the other - what is in your control. For the list of items not in your control - cross them out or delete them. Completely remove, erase or delete them from your site. Now, look at what's left. These are the things that are in your control. This is where you should direct your energy. Finally, ask yourself "what effort will I commit to managing what's in my control"? You'll find that at the end of this exercise, you've just equipped and empowered yourself to take positive, proactive action towards meeting your challenges head on. International Women's Day 2013: "The Gender Agenda: Gaining Momentum"
For many years the United Nations has held an annual IWD conference to coordinate international efforts for women's rights and participation in social, political and economic processes. 1975 was designated as 'International Women's Year' by the United Nations. Women's organisations and governments around the world have also observed IWD annually on 8 March by holding large-scale events that honour women's advancement and while diligently reminding of the continued vigilance and action required to ensure that women's equality is gained and maintained in all aspects of life. Annually on 8 March, thousands of events are held throughout the world to inspire women and celebrate achievements. A global web of rich and diverse local activity connects women from all around the world ranging from political rallies, business conferences, government activities and networking events through to local women's craft markets, theatric performances, fashion parades and more. Conversations are crucial in all phases of business development. They spark connection and build rapport. They help you test the waters on new ideas. They’re vital for gathering and exchanging information that can help you make the sale. So if you want to grow your professional services practice, the simple truth is you need to speak with more people. More prospects, more clients, more networking partners. First, you want to draw more people in who want to have conversations with you. Because when they come to you, they’re self-selecting and that saves you time, and they come in pre-qualified. And that comes down to how you’re strategically positioned in the market as well as the breadth of your reach. Are you well-known? Do people see you and see your name in lots of places? Second, you want to develop more strategic relationships. Not just connecting with anyone who has a pulse, but being very pre-meditated, plan it out, and think through who’s really going to make a difference in your business. Go connect with them and be very deliberate about what you ask them to help you do. You also want to know what you can bring to the table to help them as well. Conversations build that know, like and trust factor. People can tell something about you from your website or blog, but they’ll really get to know you only when they interact with you. After all, you can’t have a relationship with someone you’ve never spoken to. And the more conversations you have with that person, the closer you become. You could be one conversation away from your next big opportunity. So get out there and go talk to somebody! ·Are you struggling to grow your list? ·Are you tired of throwing away dollars on marketing campaigns that just don’t work? ·Are ready to attract the ideal clientele who are ready and willing to work with you? Learn how to expand your niche in a way that opens up your mind and instantly creates multiple streams of revenue. It’s time to serve more people and transform more lives. Veronica will share simple, proven strategies that will have clients looking for YOU! Veronica Drake is an internationally acclaimed Intuitive Business Consultant who specializes in working with women entrepreneurs who need guidance on clearly defining their niche and developing their personal brand by teaching them tune into their own inner wisdom. Using a combination humor, sass, intuition and practical business knowledge she empowers her clients to transform personally and professionally. *Alumni of The Holistic Learning Center. People can tell when you are enthusiastic about your business, and they can certainly tell when you're not. Provided that you have a proper foundation in place and you offer a high quality solution to an urgent problem, your belief in your brand and your inner drive to spread the word about it are what makes you magnetic and irresistible to do business with. You might argue that business and emotions don't mix well, and on many occasions and under many circumstances, that's true. But when it comes to infusing your brand with life and personality, and communicating its value to your audience, passion, energy, and care are key. Often, not meeting your desired income goal, or simply living in fear of where the next client is coming from, is the main – if not the only – reason you feel drained or disappointed. To make sure your income increases and becomes steady and predictable, put systems in place that will support your success, especially a well defined and refined client attraction, enrollment and retention system. Your clients can eliminate any self-doubt faster than anyone else! Who better than them can remind you of the powerful and empowering role your brand is playing in the world? Go through the testimonials you've already gathered, celebrate the success stories, and then invite new ones to be recorded or written by your favorite, most successful clients. Ask them to share what they love about working with you, and why they chose you and your brand to provide them with the solution they'd been looking for in the first place. Your mentor is someone you respect and admire, and if you think about it, it must be mutual, otherwise they probably wouldn't have taken you on as a client. They can certainly see your potential, and will be happy to give you the encouragement or the wake-up call you need to keep blasting forward. You can expect valuable feedback with straightforward answers to any of your what-do-you-think-of-me-and-my-brand type of questions from your business friends, as well. They can be your mirror when you can't see your own brilliance, and help you re-own it and re-feel it and re-celebrate it even when you're on the verge of giving up your entrepreneurial dreams. Reconnect with the big WHY behind your brand. Why have you started your business? What were you excited about, and how did your brand fit into this vibrant, optimistic, joyful picture? Write it all down in detail. If you're still committed to the same WHY, re-igniting the fire of enthusiasm and determination shouldn't take very long. Can you see the journey ahead of you, and most importantly, can you see the destination? Even one next step that represents growth, expansion, and the next version of your and your brand will do. The important thing is to always keep an eye on your aspirations and your big bold goals, despite your focus on the present, and despite your involvement in the day to day business operations. Raising the bar continuously in all areas of your business will help you stay on top of your game, and on the thriving edge of the 'latest and greatest' in your field of expertise. Putting brand experience at the center of your attention, wowing your community by acquiring, applying, and sharing fresh information, as well as growing professionally and personally will help you get your mojo back sooner than you realize. There's one other step you can take beside thanking the person paying you and/or your brand a compliment – you can write it down, and save it for moments when you need a little boost to get you back into a good, creative, and money making mood. It's a simple strategy, but very effective. Just watch and see how quickly the compliments will pile up!